Why do companies all over the world spend millions of dollars telling salespeople what to say, but they spend almost nothing teaching them what (and how) to ask? Question Based Selling is a proven and highly leveraged sales methodology that teaches salespeople and sales teams how to differentiate their products, their company, and themselves in an increasingly competitive marketplace. 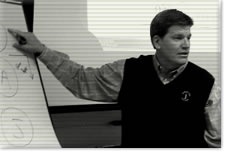 QBS Methodology Training is delivered in highly interactive two and three-day program that is designed to give sellers an understanding of the techniques and a comfort level that will enable them to implement the first day back into the field. 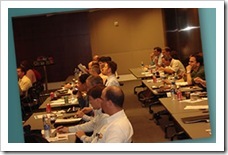 An abridged One-Day QBS “Blitz” training is also available for sales meetings, mid-year kickoff events, or vendor-sponsored partner seminars, which are scheduled based upon availability. The QBS Methodology takes a common sense, yet disruptive, approach to teaching sellers how to upgrade traditional sales habits—based on the theory that what a salesperson asks (and how they ask) is more important than what they will ever say. Whose job is it to uncover needs? It’s the salesperson’s responsibility, of course. But, just because a sellers wants to ask questions to uncover needs doesn’t mean prospects and customers want to share information with people they don’t yet know or trust. Likewise, just because you have a great story, doesn’t necessarily mean prospects and customers will want to hear it. Now, the question is, what makes prospects and customers “want to” engage? Make lead generation a self-fulfilling prophecy. 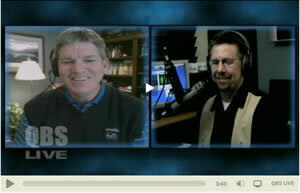 Increase your “hit rate” when calling new prospects. Use strategic questions to uncover more needs. Identify decision-makers and key influencers. Eliminate the causes of buyer resistance. Motivate many different types of buyers. In addition to teaching the methodology, Question Based Selling programs emphasize implementation by giving participants an opportunity to experience the techniques and skills they learn using a series of exercises and interactive workshops. 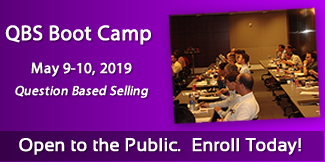 This hands-on approach reinforces the QBS methodology in order to make an immediate and positive impression on the salesperson, the sales team, and the total organization. Many people who attend QBS training have read one of Tom Freese’s books or own the CDs. This is not a required prerequisite. In fact, knowing that most people only read through a book once, we actually recommend (when asked) that the book be distributed as part of the training experience so that it can be a tangible resource to the participant when they go back out to implement. Every QBS training is specifically customized for the intended audience. 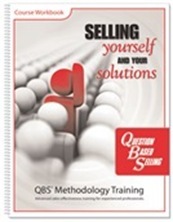 QBS methodology training is delivered in a highly interactive, classroom environment. Specific “what if” scenarios are welcomed and the relevance of examples used during the training will be proportionate to the volume of material provided by the client in advance.